The Simplified Resource For Investing and Personal Finance: What happened at Hyflux's Second Townhall Meeting. What happened at Hyflux's Second Townhall Meeting. So the above pretty sums up the state of the Company. No proposals were shown during the townhall except for informing that in the case of liquidation, perpetual and preference share holders will get 0% as they are ranked behind the banks and bondholders. From my gut feeling based on the replies, i think that it is very likely that the perps and preference shares will be converted to ordinary shares, perhaps with a token cash payment. The proposal should be out in mid-feb.
1)Salim wants to take the company debt free and they want Tuaspring. It seems most likely that they want everyone to be converted to ordinary shares in the end. The funny thing is ,Perpetual and preference shares are not debt. There is no redemption date for perps and preferences shares and they are classified as equities. The better alternative would be to stay on as perps and preference share, perhaps lower the coupon rate, instead of converting all into ordinary shares. But, it seems this is not the intention from my gut feel. 2)Maybank as a secured creditor seems to have the upper hand among all the different creditors. It is funny why they have such a privilege because, though secured, they have no other recourse since it is secured to Tuaspring only. This means that if Tuaspring is sold at say $400 million, while the maybank loan is about $500 million, Maybank only can recover $400 million. Maybank would not be able to go after other assets of Hyflux. From this train of thought, i still think Sembcorps low ball deal for Tuaspring only was better than Salim's offer for the whole Hyflux. If it was the contingent liabilities that would be payable upon a change of Tuaspring ownership or liquidation that Hyflux is so afraid off, then i wonder why the offtaker(PUB) is not understanding enough to know that there are many Singaporean fathers, mummies, retirees who are affected by this, and so waive off such contingent liabilities. 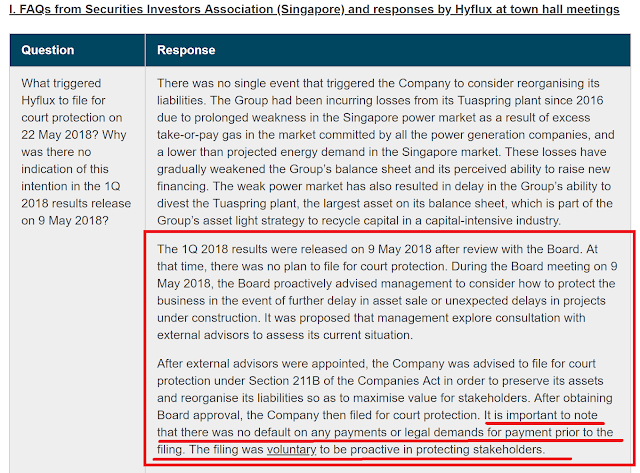 It may be such contingent liabilities that could be imposed by the offtaker (PUB) that could hit Hyflux at the group level that Maybank is leveraging on.It's really ironic if you ask me. 3) Further to point 2, Olivia revealed that when they got into trouble, straightaway they approached PUB and NEA because Hyflux was doing projects for them. She also commented that there is no ministry that look after restructured companies, so i think i can't speak on behalf of the government, she said. I find it really ironic. 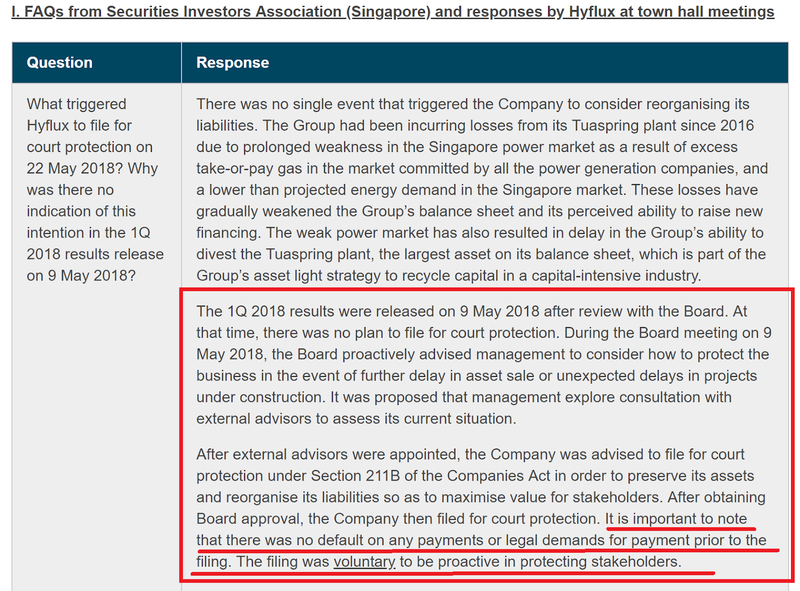 Now, in my mind, is it a situation, again where Maybank is leveraging on the terms of the contract between Hyflux and PUB and NEA to hit Hyflux at the group level through contingent liabilities? SIAs Gerard continued with" Last time i told you to talk to your MP". 4)Why did Hyflux issue perpetual issues in May 2016 when the management know Hyflux is in Serious trouble? Why did the companies not issue rights but instead issue the perpetual securities in 2016? Hyflux issued the perpetual securities in May 2016. That was after winning a big project in Egypt that was worth $500 million. At that point in time, Hyflux was still very profitable, we were just starting out the power operations, so it wasnt apparent at that point in time that it would reach to this extent. So at that time when we issued the perpetual securities, the prospect of repaying the perpertual securities was still very good. Why we did not raise any rights issues at that point? The market cap at that point was roughly only about $800 million, so raising $500 million in rights was not viable. - Hyflux CFO own words. Firstly, i think she may have gotten her facts wrong as the highest market cap was about $550million ( $0.604 -Mar 11 2016) or $380 million ($0.447 - Jan 27 2016). NOT roughly $800 million. A difference of about $250 million to $420 million is a lot. This statement is very very troubling. If the negotiations were around the book value of $1.3 billion before the VOLUNTARY filing of the court protection. 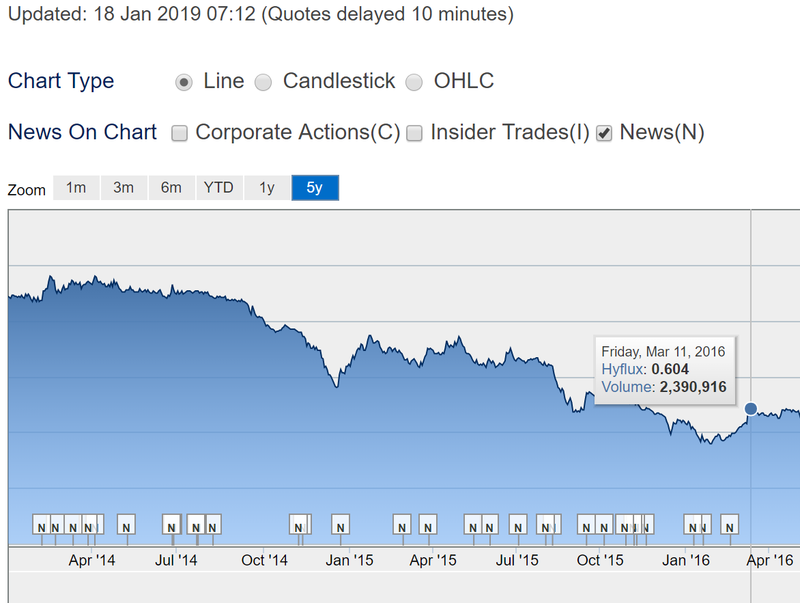 Did the Board of Directors just caused investors a massive loss in their investment by VOLUNTARILY filing the protection? 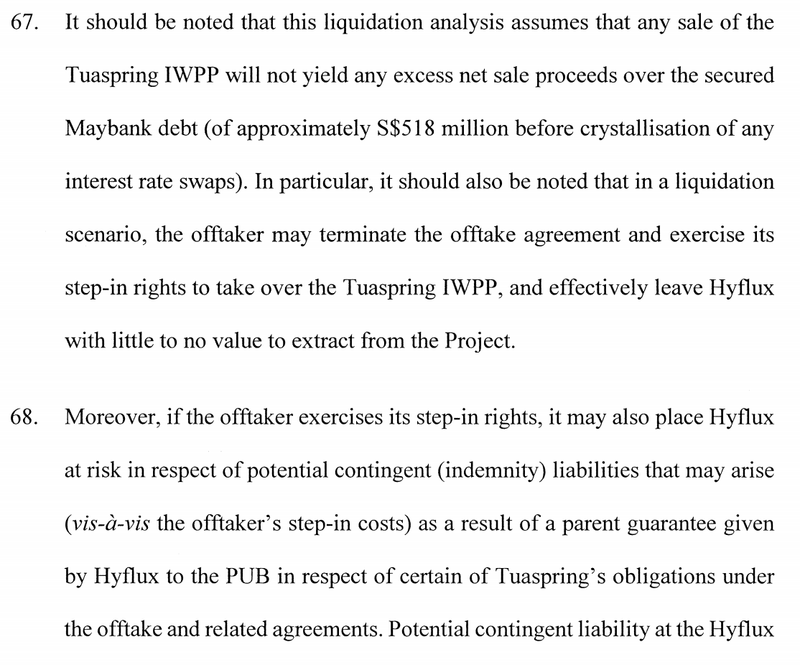 In my mind, it seems that companies were low balling Tuaspring or Hyflux after the court protection such that it is stated that the offered prices aren't even enough to cover Tuaspring Maybank loan of $500 million. A loss of about $800 million or more in value ( $1.3 billion to $500 million)! Did the advisors advise wrongly and the BOD made the wrong decision to go for court protection, VOLUNTARILY? Yes, maybe there could possibly be some expectation of incoming lawsuits, but if that is the case, couldn't they fight the lawsuit and when lost, then file for court protection? This would have given some more time for the purported time needed to sell Tuaspring before everyone in the whole world knows how dire the state Hyflux is in and start lowballing. Sias Geraid mention that " something is better than nothing". While that is of course is true, i think it depends on the context. I have a large stake in Hyflux perps and i will only accept a reduction in coupon while my perpertuals continue under the same terms and remain on the books. This is the minimum i expect. If this minimum is not met, i would choose to liquidate and lose it all. 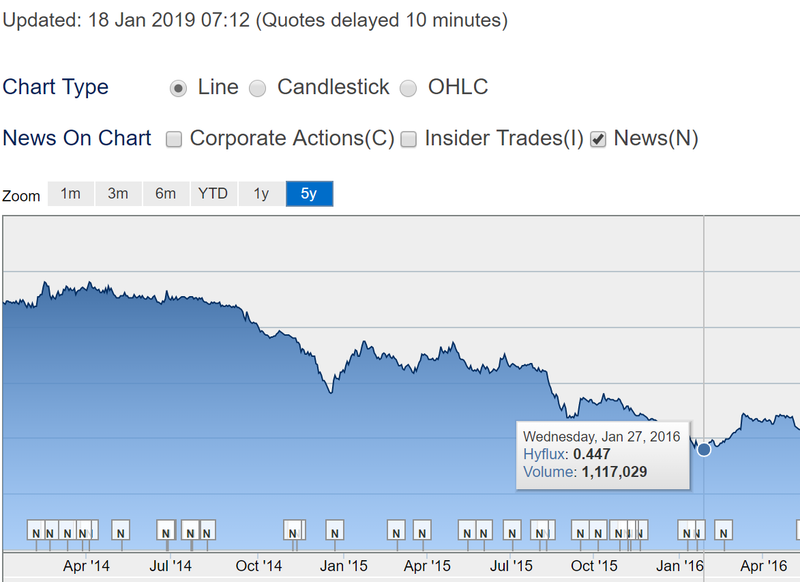 Simply put, being given Hyflux shares is not enough. It would take years ( if possible) to reach back my capital and judging from the number of retirees at the Townhall, honestly, they don't have that many years left on this earth also. By allowing all our perps and prefs to convert to ordinary shares, the real winner is Salim Group ( indonesions) and Maybank (Malaysians). Why would i want that? The other winners of course are those high level people who have been singing praises of Hyflux and using Hyflux as the banner of entrepreneurship, using Hyflux for their environmental ambitions and using Hyflux as a way to secure our water supply at really very very cheap rates when Hyflux bidded for the Tuaspring project. Olivia Lum is also the winner in the sense that her legacy lives on! Since the court protection has been done( which shouldn't have been done so fast at least in my opinion) and the value of Tuaspring has been reduced such that the Maybank loan cannot be covered by a sale. 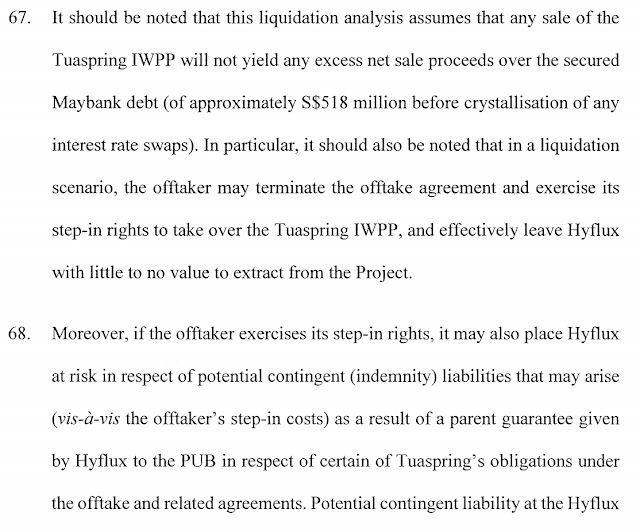 If Hyflux is so afraid of the contingent liabilities that will hit Hyflux at the group level if Tuaspring was liquidated by Maybank, why can't these contingent liabilities that will hit Hyflux at the group level be waived by the offtaker (PUB), reducing the leverage that Maybank has. After that, then sell Tuaspring at whatever price as it isn't important now, Maybank will take the hit. 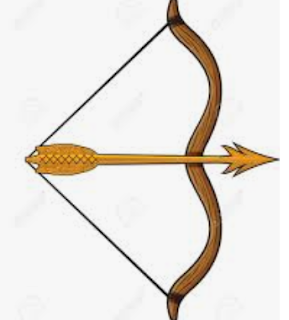 Banks then extend credit lines to complete the Tuasone project and the Tuasone offtaker also waive off the contingent liabilities ( late completion penalties etc). ..but no..this will not happen. Salim ( the Indonesians) has to come into the picture to pump in just enough money to complete Tuasone because the banks wont help, and because the offtakers won't help. How ironic! The real, affected losers are the Singaporean fathers, mummies and retirees who again ironically, are not the ones demanding their money back right now since theirs are perpetuals/preference shares with no redemption dates! Don't worry, PUB is still able to take over Tuaspring and charge some contingent liabilities as per the picture above, so our Water will still be safe.